Every home owner knows that when you purchase a home your are doing more than simply buying a place for your family to live, you are making an investment. You wouldn’t invest in stock and be content with the value going down or staying the same, the goal is to get a return on your investment, and it is no different with a home. The housing market has come back full swing, and now there is quite a bit of competition for selling your home. If you are looking for great ways to stay ahead of the curb, then you might be interested to know that your kitchen is a great place to start. The kitchen is the heart of every home. It is where your friends and family gather for good food and conversation, and it so happens to be one of the things that potential buyers notice the most. 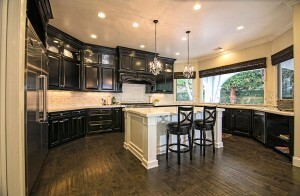 That is why, if you want to add value to your home, kitchen remodeling in San Jose is a great idea. A kitchen remodel can give you a pretty incredible return. It is one of the only projects that you can do that will actually yield more than you put in. According to the 2014 Cost Vs. Value Report, a minor kitchen remodel that costs around $22,000 will end up adding almost $30,000 to the value of your home. That is a whopping 133% of your investment! Kitchen remodeling is just one of the many ways that you can get a leg up on the competition and add value to your home. Other great options include adding a deck, room additions, flooring, and bathroom remodeling in San Jose, all of which will help you to add value to your property and your investment.